The European regulator has told companies to be ready for a possible hard Brexit in April 2019. That requires companies to duplicate drugs testing, replicate licences and take other steps to ensure the smooth supply of medicines. The FTSE 100 drugs giant said it had already spent £40m preparing for “no-deal”. Juliette White, vice-president of global external manufacturing at AstraZeneca, told the s Newsnight programme that the company had been planning for a potential no-deal Brexit ever since the 2016 referendum. “Ultimately – and as a safety net – we will increase the amount of finished medicines available to pharmacies and hospitals in those countries,” said Ms White, referring to both the UK and the European Union. About 45 million packs of medicine go from the UK to Europe every month and 37 million packs travel in the other direction. They need to be licensed, tested and certified by qualified staff recognised by the relevant medicines regulator. At the moment, a test in the UK is valid in the EU and vice versa. After a no-deal Brexit that wouldn’t be the case. And the European regulator has already told companies to plan on that basis. Drugs would need to be authorised and tested within the EU to be legally valid. AstraZeneca employs nearly 7,000 people in the UK. It is working on duplicating labs between its UK and European manufacturing facilities, moving technology and methods between countries, shifting key members of staff, and moving or duplicating regulatory approvals – known as marketing authorisations – into different jurisdictions. The company, the second-largest UK drug maker by market value, has a team of more than 30 people working on Brexit preparations, split between its Macclesfield manufacturing campus and its operations in Sweden. Its £40m bill for no-deal preparations will rise the longer there is uncertainty about the terms on which the UK will leave the EU, the company said, funds that could be spent on research and development into new medicines. Big regulated sectors like pharmaceuticals and banking had to start planning for the possibility of a hard Brexit early. But in the pharma industry, there remains a lot of work to do in a limited time. One industry source told Newsnight that it is acknowledged within the sector that there are products where companies will struggle to get everything over the line by April 2019. 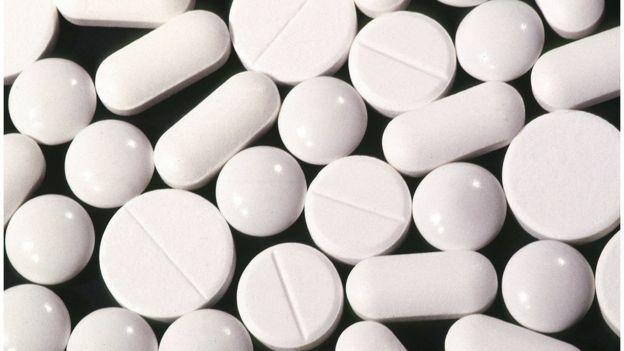 Last week, the European Medicines Agency said it had “serious concerns” about the required work getting done for 108 drugs that are solely manufactured in the UK. AstraZeneca’s Ms White said the company had warned regulators that the industry could encounter problems. “In the event of a hard Brexit and a particular product that we couldn’t complete all of those complex activities in time for, then we’d ask for a specific time extension from those regulatory authorities,” she said. When asked if regulators had said they would be flexible, she said: “We’ve certainly made those requests of the regulatory authorities, yes”. The industry would like an early agreement that the UK and the EU will recognise each others’ rules and testing, with continued regulatory alignment in the longer-term. It is something the government has said is part of its Brexit plan. But without an iron-clad commitment from both sides, companies’ preparations must continue. AstraZeneca is one of the big beasts of the UK pharma sector, with plenty of people and resources to throw at this problem. But some smaller companies have been waiting and hoping that a deal will emerge. They, too, now need to start making decisions. Quay Pharma employs 130 people and is based in north Wales. It has put plans to build a new lab there on hold while it decides whether it will need its own European facility to duplicate testing. Without sufficient time left to build a new testing lab and get it signed off by regulators, the company is instead talking to European competitors about testing and releasing their products after next April. That isn’t ideal for the company. But nor is spending money on duplicate facilities or staff that may turn out not to be needed in the event of an agreed Brexit deal.